The enhanced efficiency phosphorus fertilizers evaluated in this study provided little economic benefit compared to traditional monoammonium phosphate (MAP) or ammonium polyphosphate (APP) fertilizers. The polymer coated controlled-release MAP (CRP) product may reduce the risk of seedling toxicity if it is necessary to exceed safe levels of seed-placed phosphorus (P) fertilizer to optimize crop yield. Cynthia Grant with Agriculture and Agri-Food Canada (AAFC) led field studies from 2008 to 2010 to evaluate the effect of various enhanced efficiency P fertilizers on seedling toxicity, yield and quality of canola. Field studies were conducted at two locations in Western Manitoba, one on a fine sandy loam (FSL) soil and the other on a clay loam (CL). Soil analysis was conducted to select sites low in P to increase the likelihood of seeing a P response. At each location, nitrogen (N) and sulphur (S) were applied before seeding to ensure an adequate nutrient supply for optimum yield, based on soil test results. Pre-plant banding was used to avoid any risk of seedling damage from the N. Plots were seeded using a Seed-Hawk type plot seeder equipped with narrow hoe openers. Seeding rate for the canola was 5 kg/ha. The trial compared seven treatments: (1) control with no P application; (2) standard MAP; (3) CRP formulated for broad-acre agriculture; (4) Avail-treated MAP, with treatment to sequester antagonistic ions and reduce soil P reactions; (5) ammonium polyphosphate, a liquid product; (6) Availtreated APP; and (7) Polyon, a polymer coated MAP product formulated for horticulture. Each source was applied at four application rates (10, 20, 40 and 80 kg P2O5/ha) with a single control, for a total of 25 treatments per site. Each treatment was replicated four times per site. Canola yield generally increased with moderate rates of P application, but there was little difference among P sources in their effects on canola seed yield. Where seedling damage occurred, use of polymer coated MAP reduced the risk. Seedling damage occurred with high rates of applied P unless soil conditions were very wet, with damage being particularly evident with liquid P. Damage occurred with P rates of 40 and 80 kg P2O5/ha. Yields tended to increase to between 20 and 40 kg P2O5/ha and then decline, reflecting the seedling damage at higher application rates. 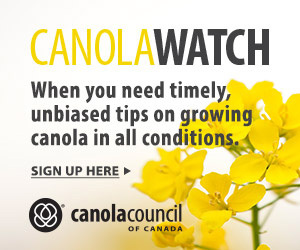 The study found that canola could compensate for seedling damage if stands were not reduced below critical levels. Where stand density was low, seed yields declined and maturity was delayed due to seedling toxicity. 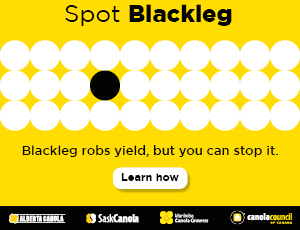 An additional part of this study compared yellow- and black-seeded canola cultivars, following the methodology described for the previous study. The yellow-seeded canola displayed extremely poor emergence and vigour. Yields were low in relation to the black-seeded cultivars, and assessing P responsiveness was difficult due to the poor crop performance. Figure 1. Seed yield as affected by source and rate of phosphorous fertilizer at two locations in 2010.